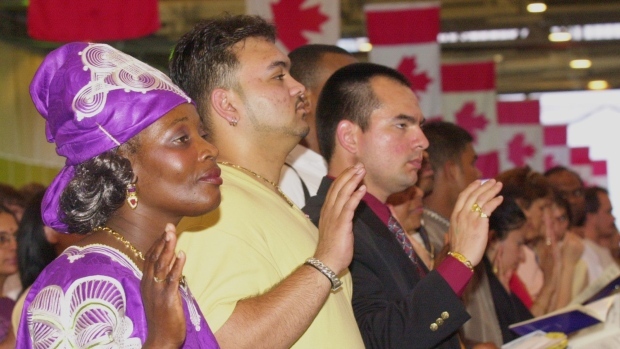 A decreasing number of immigrants are wanting to become Canadian citizens. The number of immigrants wanting to become citizens in Canada have dropped to a whopping 26 percent from a previous 79 percent from the period 2000 and 2008, former citizenship director-general Andrew Griffith said. He attributed the decline to government’s recent rules and fees regarding citizenship. In 2008, only 26 percent of permanent residents who settled in Canada acquired Canadian citizenship. A year before it was 44 percent, and in the year 2000, it was 79 percent. The current residency rules say that you must be a resident in Canada for at least three out of four year. Come this June, that will be changed to four out of six years and they will also raise the age of exemption from language and citizenship tests to 65, from 55. Regulations have become stringent since 2010. Among the changes include a citizenship test that measures applicants’ knowledge of Canadian history, culture and values. The required score to pass is 75 percent, from the previous 60 percent. Applicants must pass 15 out of 20 multiple choice questions. The new passing rate, Griffith said, immediately impacted the citizenship numbers. Observing the passing rates of various communities 3 years before and after the new citizenship test was implemented, he said the immigrants from the Caribbean saw their pass rate go down by almost 20 per cent, while those from the South Asian, Southern and East African communities all experienced a decline of more than 15 per cent. The matter on application fees is also another issue deterring immigrants to pursue Canadian citizenship. In 2014, the government increased the fees from $100 per adult, to $300 in February and $530 in December to become citizens. This does not include the $100 “Right of Citizenship” fee successful candidates must also pay to become citizens. “When you make it more difficult for some communities to become citizens, you are going to create issues with their engagement, attachment and identity of Canada,” Griffith said. “I understand the rationale behind these government changes,” said Griffith, who worked for the government as the reforms were developed and rolled out, and retired in 2013.